Last Saturday I visited a place I've been wanting to visit for years! It was such a cool place, one single Instagram photo just doesn't do it justice, so I’ve written this blog post about it too! I’ve always wanted to see this place for myself ever since I first spotted it, again on good ol' Instagram. I don't know why it’s taken me this long to make plans and go! 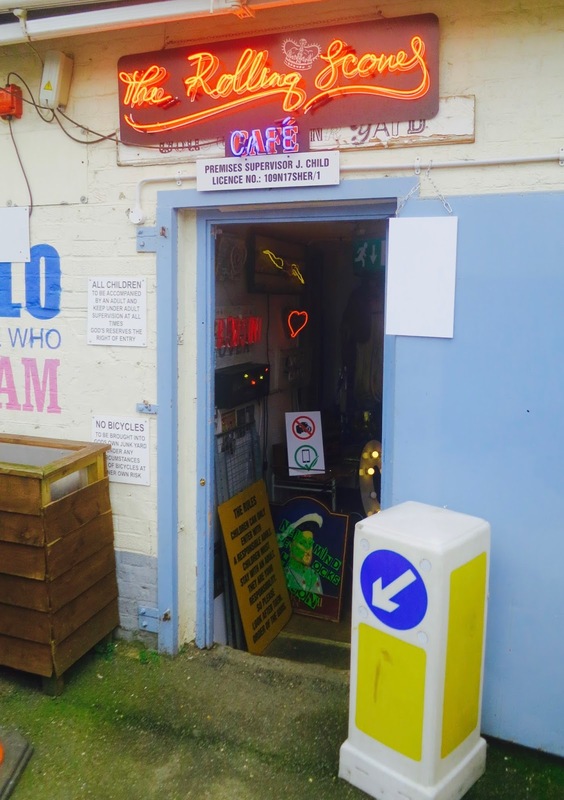 God’s Own Junkyard is situated in a large industrial unit, in amongst some other art and food units on Ravenswood industrial estate, North London. From the outside, it doesn't look much. 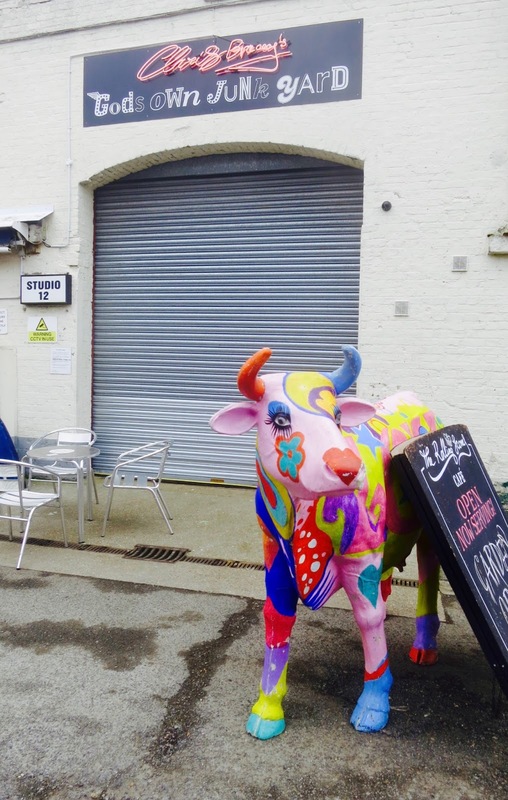 However when you step inside it’s a totally different story! 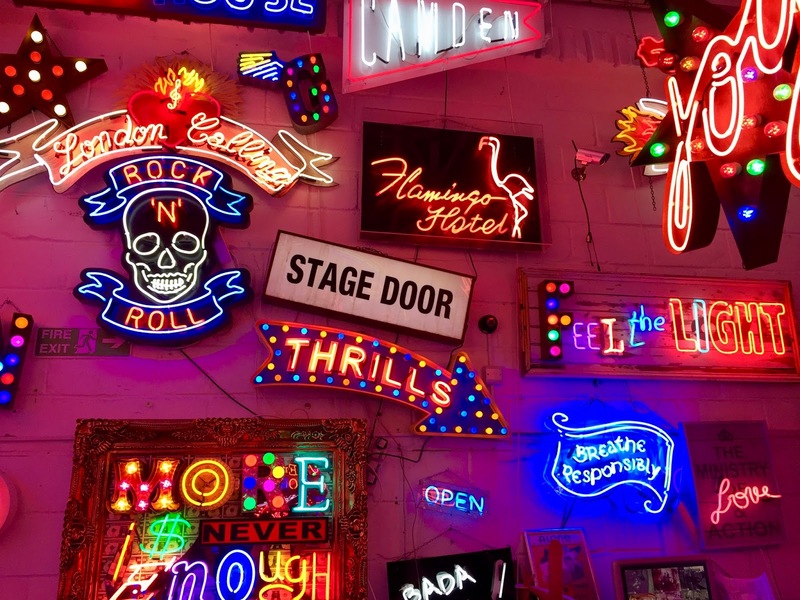 Everywhere you look there’s neon, every colour you can possibly imagine is shining and flashing right before your eyes, as soon as you step through the door. 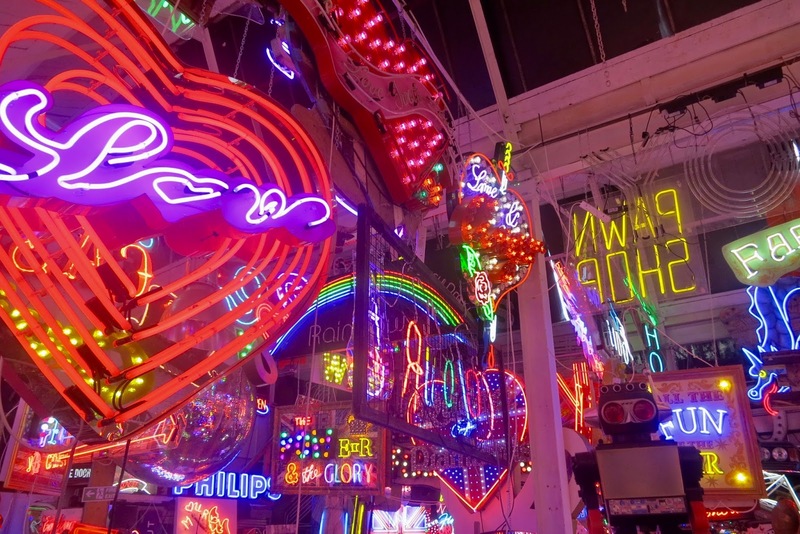 The room is huge, bursting with mountains of bric-a- brac, full of film props and, of course more neon signs. The place is pretty indescribable! Every sign you can think of is hanging, or has been placed in some sort of artistic or unusual way. The walls, the roof, the floor are all over flowing with signs. 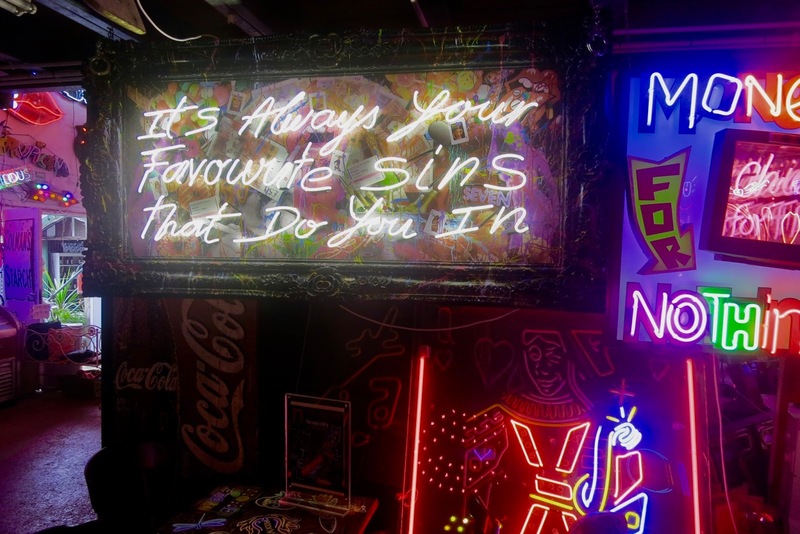 New signs, old signs, carnival & circus lights, salvaged signs, vintage neon, retro displays, down to a statue of Jesus himself holding two neon hand guns. This place really does have everything! 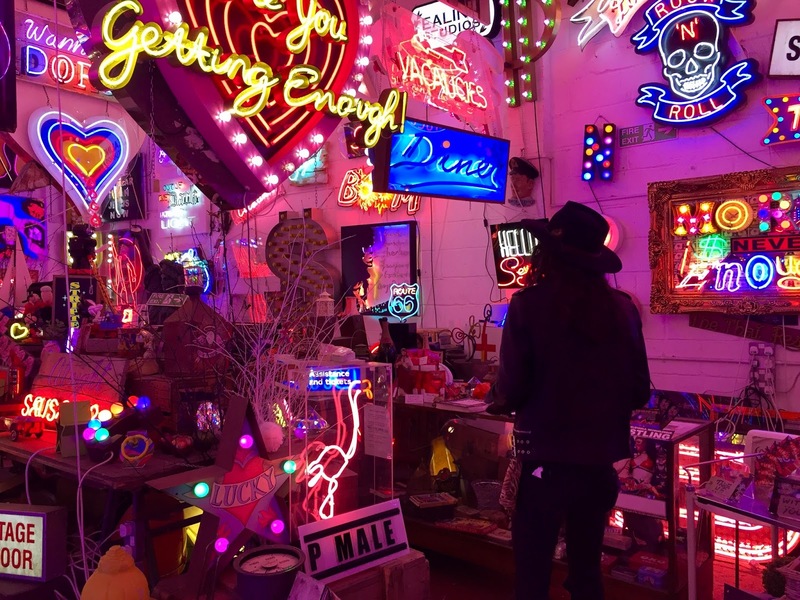 It’s like walking around in a dream world, everywhere you look you see something different, something interesting, something you missed the first time around, I've never seen this much stuff all in one place, never mind all killer neon signs! 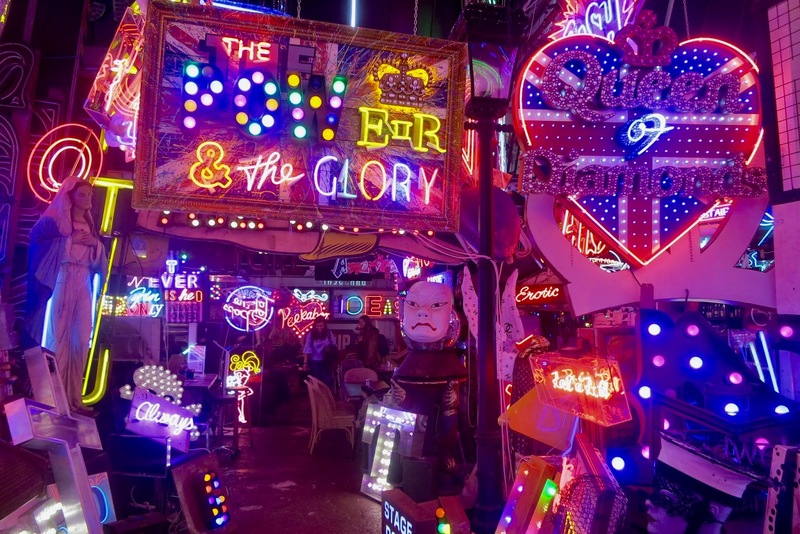 It’s such a sweet place to explore, when you first enter the unit you’re taken aback by how much there is to look at, and how colourful all the neon is, never mind thinking HOW MUCH IS THIS GUYS ELECTRICITY BILL! Flashing multicoloured lights of every size are intertwined into the displays with huge disco balls, that hang from the ceiling reflecting even more colours and lights around the room. Huge signs, small signs and every kind of neon you can imagine is piled up on the floor all carefully placed with walk ways running in-between the exhibits. Walking around this magical place is so much fun, every corner you walk around you see different angles to view the lights from. Plus the music in there is awesome, whoever creates that playlist, I need it! We spent the whole morning looking around the junk yard, taking LOADS of photographs along the way of course. 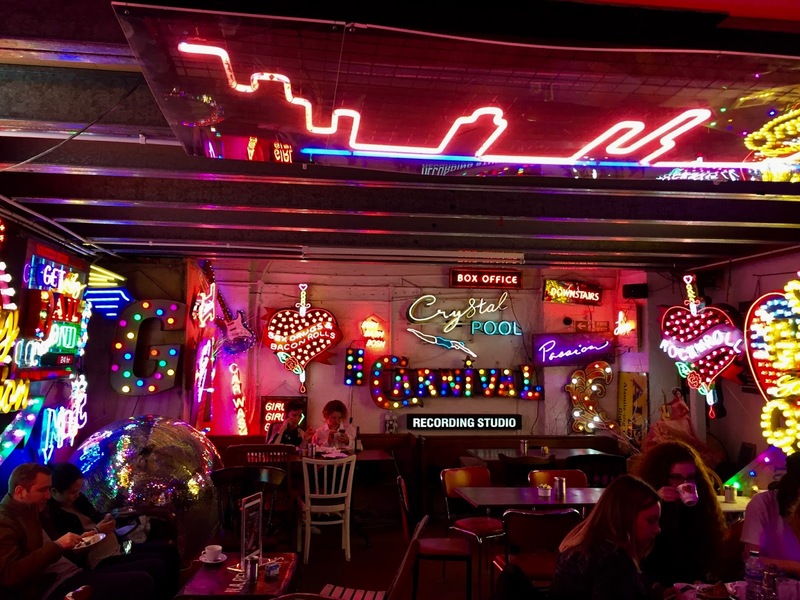 The best part of GOJY, other than the lights, is the amazing little café called 'The Rolling Scones' You can grab a coffee and cake (the cinnamon rolls are to die for) while you sit in ore soaking up the atmosphere under the neon lights. There's a large seating area inside, nestled in-between the neon in one of the rooms, plus a sweet outside area for when the weather gets warmer. GOJY has featured in Vogue magazine, which I'm not surprised about, having the perfect backdrop to any super cool photoshoot! 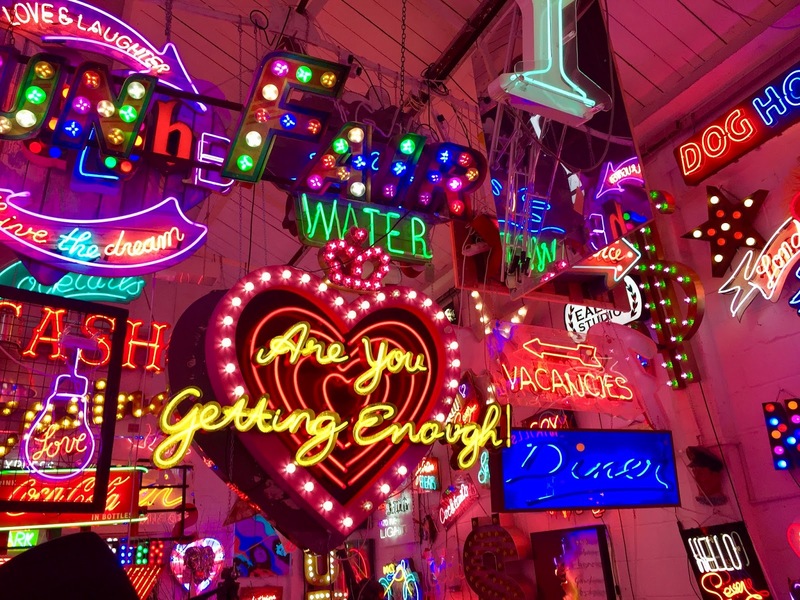 It’s a little out of the way if you're in central London, but nevertheless it's well worth a visit! The nearest tube station to GOJY is Walthamstow, which is around a 15 minute walk through an idyllic London suburb. 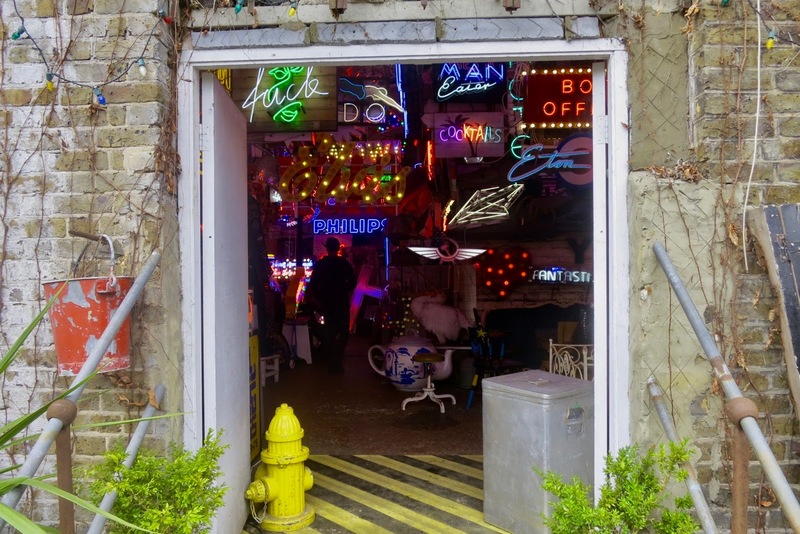 God’s Own Junkyard reminded me of another amazing sign boneyard I visited last year in Las Vegas. I won’t bore you with the facts, but if you're ever in Vegas, and want to switch things up from the usual drinking and gambling, the neon museum is the perfect place to do it! If your visiting Vegas this summer I highly recommend checking this place out. 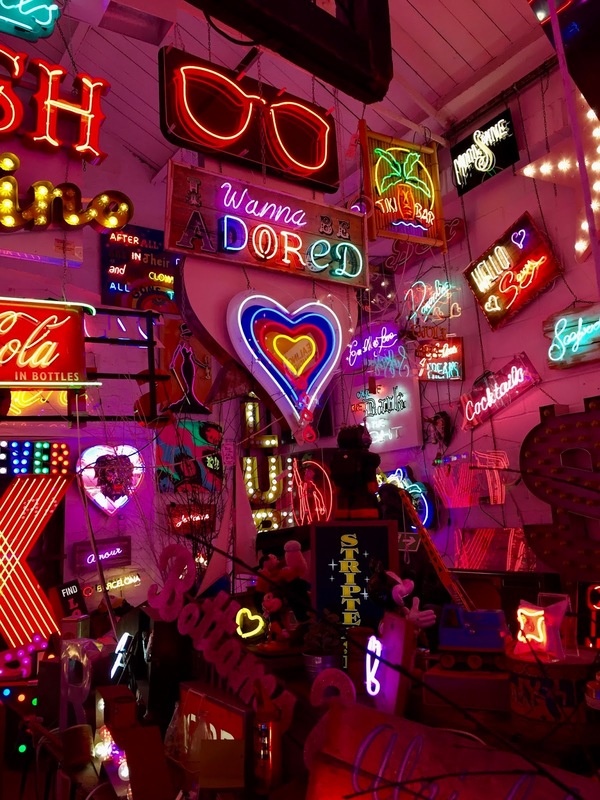 Click here to find out more about Neon Museum.